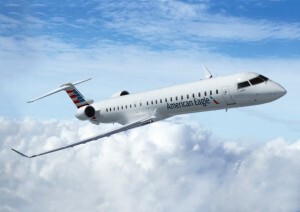 On March 12, 2015, Bombardier announced that Mesa Air Group signed a purchase agreement for seven CRJ900 NextGen aircraft. Mesa is one of the largest CRJ900 aircraft operators, currently operates 57 CRJ900 aircraft with 79 seats in a dual-class interior and 20 CRJ700 with 66 to 70 seats in a three-class interior. Aviation Photographer. Canadair Regional Jet Photographer.